One of the great pleasures of a long distance walk like the E4 is the chance to experience the full range of different types of accommodation. Because you’re following a route you have to take what’s available and never know quite what you’re going to get and indeed who you’re going to meet. Taking pot luck is a key part of the fun of this sort of walking but finding somewhere to stay is not always easy and often determined where I stopped each night and how far I walked each day. Just in case anyone wants to follow in my footsteps, or even do something similar, I thought it might be worth describing how I found places to stay in each country and what to expect in the different sorts of accommodation. Attached to this blog is a link to a schedule of all the places I stayed at and how to contact them. A few general points first. I’m a tight fisted sort of guy, I don’t like spending money if I can avoid it, and set myself a daily budget which I enjoy beating. My daily budget (accommodation, food etc) was 50 euros. This was easy to hit in Spain (many single rooms), slightly harder in France (double rooms the norm - so easy with 2 people), impossible in Switzerland, fairly easy in Germany and Austria and completely over the top in Hungary. I rarely booked in advance, accommodation where it was available was hardly ever full although I occasionally got caught out by bank-holidays, busy weekends and found in France that places were often shut on a Monday. I learned to avoid things like booking.com which, if rooms are plentiful, are an expensive way to get accommodation (a fully booked hotel on booking.com definitely doesn’t mean a fully booked hotel). Not booking in advance where accommodation was plentiful meant you could choose the place closest to the route. Having to walk past empty hotels to the place you’ve booked can be really frustrating when you’re knackered at the end of a long day. Although it fits with my tight fisted approach I believe the cheaper the accommodation the more fun it is. This general rule does of course have its exceptions but based on my experience (and mean predisposition) it applied to all the countries I stayed in and all the different sorts of accommodation. For a schedule of accommodation on the E4 please go to the following. 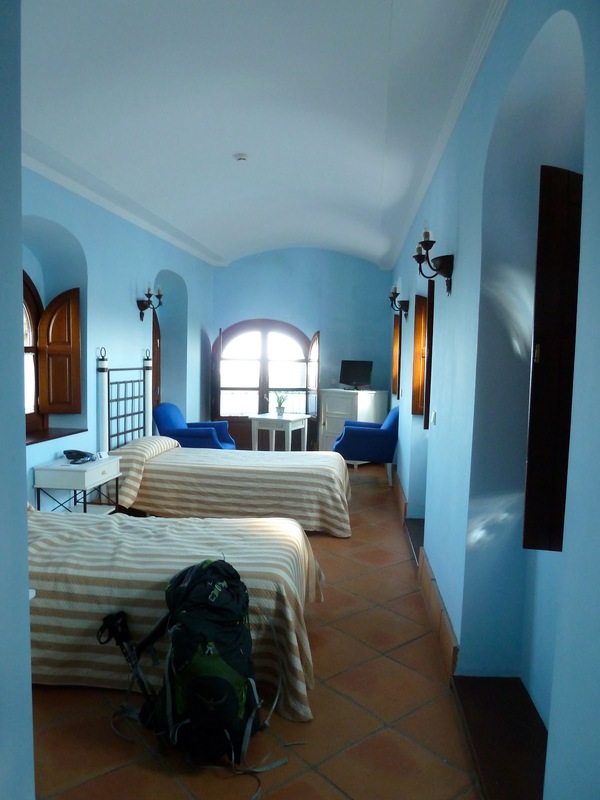 I couldn’t find any single source of information on accommodation along the route in Spain. Information on the route itself is managed by the regional walking associations but they didn’t provide information on accommodation, so the planning task was simply finding places along the route and then doing a web search and seeing if there was any accommodation. The best place to find accommodation turned out to be local town council web sites which in Spain were very good and which often gave a list of the all the available accommodation. Accommodation comes in a whole range of different shapes and sizes and it’s hard to spot the real difference between a hotel, albergue, hostal and a pension. Sometimes you got breakfast (I’m now a total fan of “bruschetta”) and sometimes you were asked to pay the night before, put the keys through the letter box in the morning and make your own breakfast arrangements. The main meal in Spain is mid-day so quite often the restaurants are shut in the evening and you had to make do with bar food. The tapas is sometimes so good that its enough but you have to be a bit careful about ordering the racion (plateful) as these can be enormous. 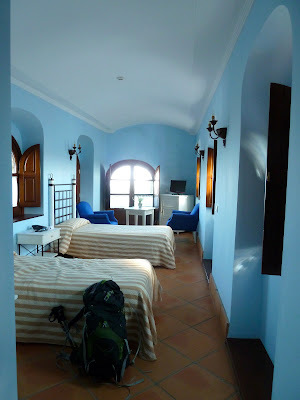 One type of accommodation which I hadn’t experienced before was a casa rurales, essentially a house or apartment let out nightly on room by room basis, usually with cooking facilities. You usually get the whole place to yourself so these can be great value. 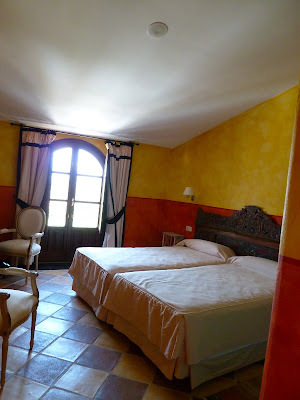 Accommodation in Spain is often special and nearly always fun. There are more bars per head of population than any other country in Europe and in every bar there will be a television in the corner and you don’t need to feel uncomfortable sitting on your own reading a book, writing a blog, or just watching the beautiful Spanish newscasters doing their stuff. The accommodation is also very clean, even in the cheapest pensions (Spain apparently are huge consumers of bleach) and the facilities are good - you always get own shower and sometimes one of those special Spanish micro baths. Accommodation is easier to find in France. The GR-Info website, as the well as the GR routes (not always up to date) provides lists of local accommodation as do the Topoguides (although you can’t get these for the whole route). Neither of these sources are comprehensive however and there is often accommodation available which is not listed and if you can’t find something where you want to stop then its worth either contacting or dropping into a local tourist information office. There are many of them in France and they are incredibly helpful, not only finding places for you but making the bookings. Accommodation in France is very interesting and full of surprises. In particular there was a very odd category, which provided some of the very best adventures, called a gite d’etape. The Wikipedia definition - “Stopover and holiday getaways off the beaten track for groups of walkers or cyclists” - fails to capture the enormous variety of provision. There are municipal “gite d’etapes” which can be painfully primitive, really charming ones attached to the owners house, and very old fashioned ones included in a farmstead. Accommodation can be primitive but all the ones I found served food, no choice but usually really good. It’s the sheer variety of accommodation which makes walking through France particularly special. Whether it’s a family farm running a beautiful auberge to supplement agricultural income; a long established logis providing top quality food to a loyal set of local customers; a gite d’etape where the sheep moving in and out of the stable below is the main night time distraction; or whether it’s sharing the dreams of a charming crank who has been building his gite d’etape for 40 years; it’s all so different. The journey across Switzerland was shorter than Spain and France and my smaller the accommodation wasn’t as good. Finding it wasn’t too difficult with the Swiss Hiking Federation website providing both the route and accommodation suggestions, but compared to Spain and France it was expensive, a bit dull and the food wasn’t as interesting. Surprisingly, comparable hotels at the bottom end of the market in Switzerland were not as well equipped as their equivalent in France or Spain and it was quite normal in Switzerland not to have ensuite facilitates. My slightly negative experience of the route may of course have something to do with the route - it didn’t go through the high Alps - or it may have something to do with the places I stopped. I took my itinerary from the Swiss Hiking Federation website which, quite reasonably, is aimed at a domestic audience and broken down into daily slices with either end accessible by way of the amazing Swiss public transport system. This usually meant that I was staying in towns or large villages. When I broke away from this schedule the accommodation became more interesting. 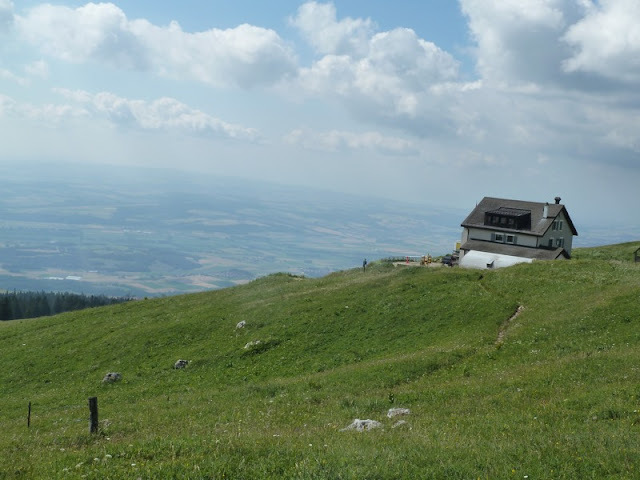 In particular I think I could have made more use of the farm based accommodation like the at Hinter-Weissenstein, should definitely have stayed at the Hotel Le Chasseron, just for its amazing location, and I did really enjoy staying at the Refuge at Le Soliat. A bit more work on accommodation in Switzerland might have produced better results. I’m lumping these two countries together because the process of finding accommodation and the experience of using it were so similar - accommodation in both countries is very good. 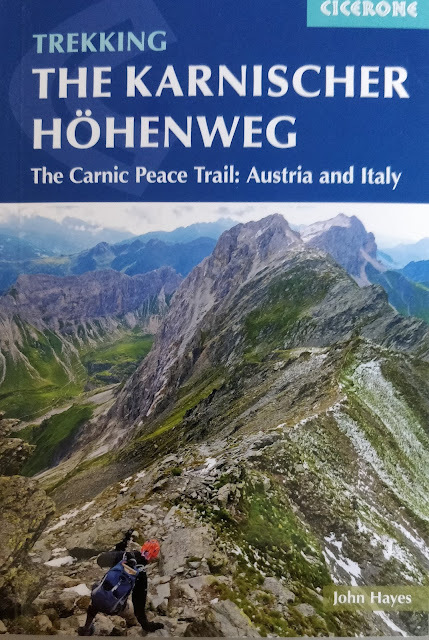 My itinerary was based on two German language guides (04 Voralpiner Weitwanderweg. Wienerwald - Berchtesgaden - Bodensee by Günther Eigenthaler, Erika Käfer, Fritz Käfer, Karl Mor; and 01 Nordalpiner Weitwanderweg vom Neusiedler See bis Bodensee by Alois Messeritsch, Werner Rachoy, Robert Wurst) which gave suggestions daily walks and places to stay. Erika and Fritz Käfer have written many Austrian walking guides and I think are closely associated with the Austrian Alpine Club which has an excellent web-site, description of all the walks and, really useful, at Hutte finder. Worth having a look just to get a feel for how many there are, it’s an amazing network, there are literally hundreds. If your walking across Austria it’s definitely worth considering club membership, it qualifies you for a hefty accommodation discount and a whole range of other benefits including mountain rescue insurance. Staying in a mountain hut is a special experience. Very often in stunning locations, facilities can be a bit primitive and in the limestone areas (much of Austria) water for washing can be limited. There is always plenty of beer however and the huts can be great fun. They can occasionally get a bit crowded, particularly if you're on a really fashionable route and hit the weekend, and if you're in a dormitory you might not get much sleep but most times, particularly if you book ahead, you should be able to get your own room. There is also a new generation of mountain huts being developed which an emphasis on high eco standards and better accommodation. The winter sports resorts, in the summer, provide really excellent value for money, great facilities and a huge choice. 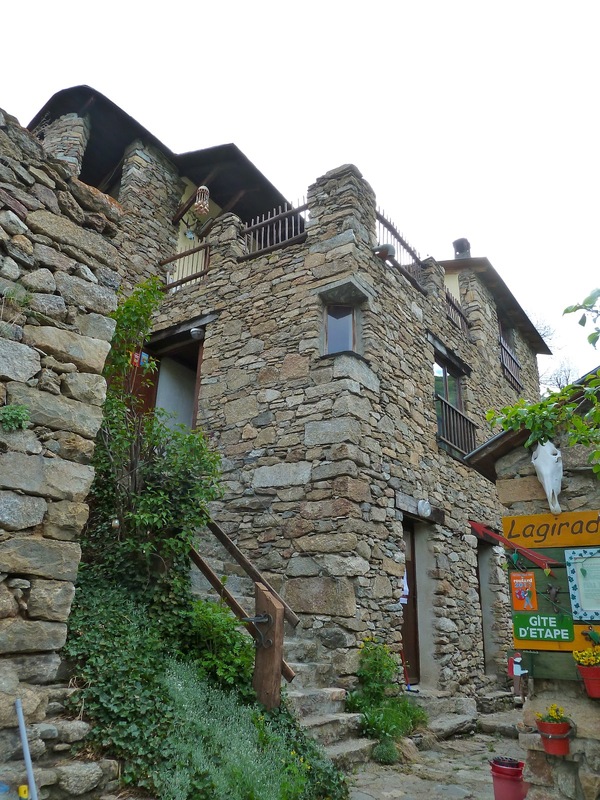 Worth checking out the location of the accommodation and try and avoid long hikes through a town away from the route. To be honest the only two gripes I had about accommodation in Germany and Austria was the food and the lack of accommodation away from the Alps as I approached the Hungarian border (much of it closes in August). Just not a fan of German Austrian cuisine I’m afraid and the worship of processed meat. The beer is also a little disappointing given the reputation - very little variety. I had been warned by a Hungarian, when I first started planning the walk, that the accommodation in Hungary was bad and hard to find. It’s true to say that there isn’t much of it, particularly as you get closer to Budapest, but it was a lot better than I had been advised. Actually it was good, great value for money, and I thought the food was also much better than in Austria or Germany. I particularly like the fresh water fish which seemed to be on every menu. Before I went I had the benefit of good information on the route but had not found a single source of information on accommodation. I decided where to stay using the same process I had used in Spain - just looking for likely places along the route and then doing a web search. When I was there I discovered another source of information http://turistautak.hu/, which is an amazing information resource and has everything you need to plan a trip. If you can’t find a “panzio” (which I think is the Hungarian equivalent of guesthouse), then you can stay in the equivalent of the Spanish casa rurales and book rooms in a house on a nightly basis. I did this a couple of times (one night was put up in a place like this for nothing) but it’s more fun staying in a guesthouse. Beautiful places. Looks like you got here some of prettiest hidden jewels of Europe. How wonderful it would be to stay in a place like Hotel Chasseron. I love how Casa Pernias was built. The exterior is awesome and the location is breathtaking. I would really want to visit this place. These are great places and establishments indeed. I like the exterior architectures of these buildings. The workers paid too much attention to every small detail. The location is also perfect. I wonder how it feels to stay in that kind of hotel (Hotel Chasseron) at the middle of that field. It must be an awesome experience for you to visit these places. One of the amazing place i ever saw even i really want to visit that place.